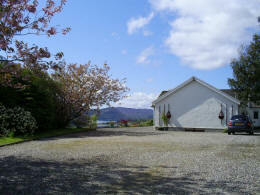 Aultsigh stands in an elevated position on a south-facing hillside overlooking Lochcarron village. 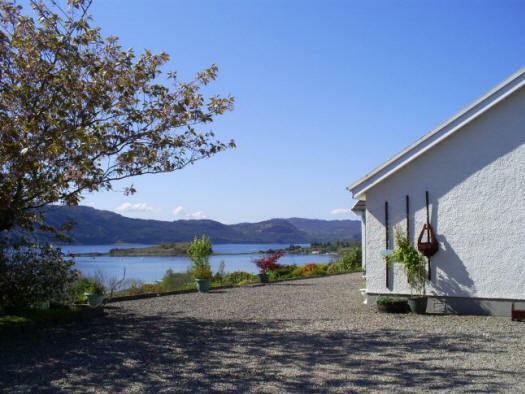 From here there are some superb views of Loch Carron, Attadale and Slumbay Island. 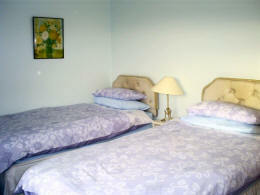 The photos below show the twin bedroom and the bathroom. There is also a separate shower room. 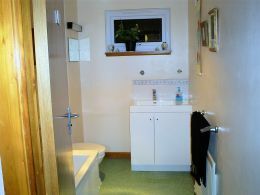 Both the bathroom and shower room have WCs and wash hand basins. 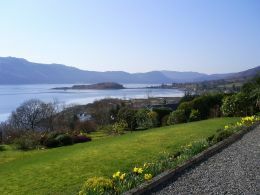 Outside there is a most attractive and well tended garden from which there are superb views looking across Loch Carron. There is a large gravelled parking area with ample space for several cars. Copyright © 2009/2019 Moyra Innes. All Rights Reserved.